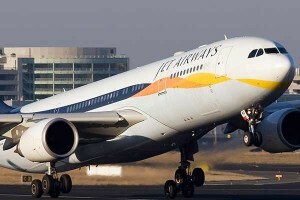 From Thursday evening till Friday morning Jet Airways suspended all its west-bound international flights from India stating operational issues. The airline informed the exchanges that it had further to its letter on April 2, grounded 10 more aircraft and the airline’s fleet has gone down below 20 aircraft. This is a crucial number for Jet Airways to retrain its right to fly international. A Jet Airways spokesperson said that they were suspending all west-bound international departures from India till Friday morning due to operational issues. The airlines had flown just 14 aircraft since the midnight of April 10-11 along with that there were changes to its international inventory. The airlines has closed reservations for Chennai-Paris, Delhi-Amsterdam-Toronto, Delhi-Kathmandu, Delhi-Singapore, Mumbai-Colombo, Mumbai-Paris and Mumbai-Singapore, till April 12. The reservations for Bengaluru-Amsterdam, Mumbai-Amsterdam and Mumbai-London will remain closed till April 18 while light reservations from Delhi to Dhaka and Bangkok, and Mumbai to Dammam, Doha, Dubai, Jeddah, Kathmandu and Kuwait, will remain unavailable till April 26. After the banks refused to release the promised additional loan of Rs 1,500 crore and the original promoter Naresh Goyal pledged 26% of his holding in Jet Airways with Punjab National Bank. The amount of money sanctioned against the share pledge could be ascertained and the airlines informed the stick exchanges about the pledge.